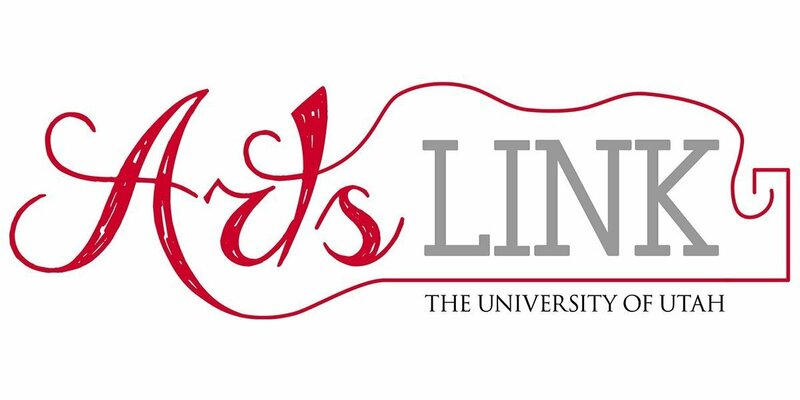 The University of Utah, College of Fine Arts, presented their ArtsLink 2019 conference on Saturday, March 2nd. ArtsLink is free to students and is a daylong introduction into the wonderful world of arts integration. Plus breakfast, lunch, swag bags, and lesson plans for all! It was a fun day filled with art making and educational conversation. 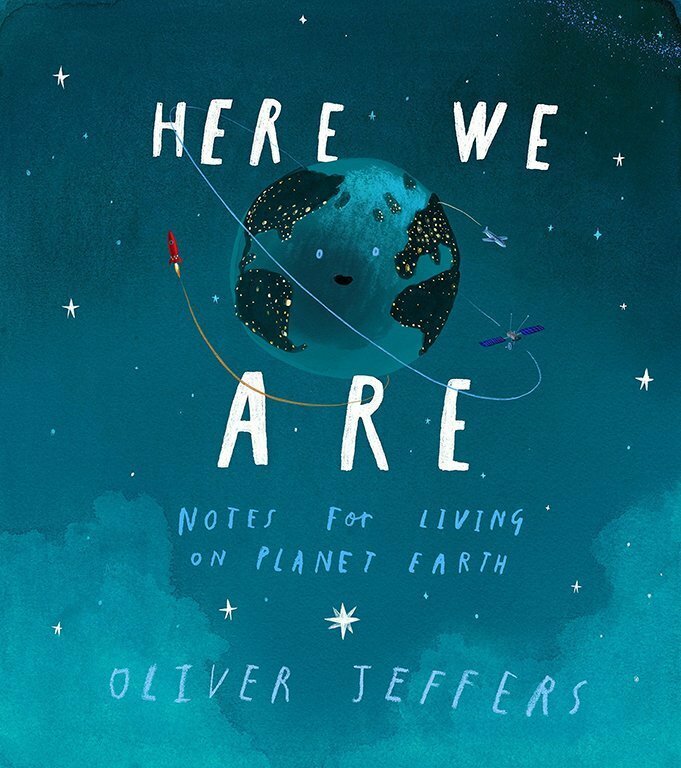 Breakout sessions, integrating the beautiful book, Here We Are: Notes for Living on Planet Earth, by Oliver Jeffers, were held in the four art forms of Dance, Drama, Music and Visual Arts. Dance with Jana Shumway: “Here We Are” on the LAND THAT WE LOVE! 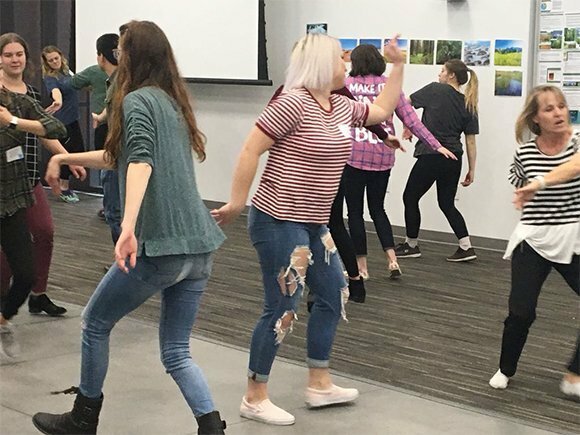 Curriculum Connections: At the end of this workshop, students understood more about our earth’s land. They danced the different biomes (desert, plain, tropic, tundra, grassland, mountain, forest, wetland.) They choreographed movement about the levels in the soil (topsoil, subsoil, bedrock;) and created shapes of many land forms, then moved like the forces (water, wind, gravity, ice) that case weathering and erosion. Quite a workout! Curriculum Connections: Students in the Drama workshop connected the Drama standards of Creating, Performing and Responding with Literacy standards (Connect.) Students read, listened to and told stories from a variety of cultures, genres and styles. They identified characters, setting, plot, theme and conflict in the stories. They also identified historical, global, and social issues connecting them through drama/theater work. Sounds heavy duty but it was SO MUCH FUN! Curriculum Connections: The geography of a community influences the cultural development of the humans who inhabit the community. There are relationships between climate, natural resources and other geographic characteristics and a community’s cultural development. Students explored the idea of interrelationships between community and environment. Susan explained ways people respect and pass on their traditions and customs. Students then identified physical features of a community and could explain how they affect people’s activities in that area – All Through Music! Students created a variety of maps – animals maps out of shapes, map of a fish, character maps and scientific drawings. So many ideas. So little time!